FILMMAKERS: BLACKER IS ‘THE NEW BLACK’ | Michael R. Barnard's Thoughts & Discussions. How much of the image you create is black? Black cannot be projected. It exists in media by turning off light of any color. (Consider as an example that your computer printer does not print white; white exists only when there is no color printed on a spot on white paper.) In a simple view of the complex technology, a pixel image is controlled by liquid crystals or DLP masks that are like valves. The valve must be closed so no light is seen. However, they leak, they all do, just like a leaky faucet. Digital images have always had problems representing real black because light seeps through liquid crystals valves and DLP masks, muddying the black areas of our images. It’s human nature that we are now used to this current situation and don’t give it much it much notice … until we see something better. At the NAB Show 2014, black is a subject that is being addressed by new products. That “something better” is going to be blacker blacks on screens of all kinds. Filmmakers will have new opportunities and challenges when setting up their scenes for lighting and shooting. Christie, a major player in the cinema projection industry, introduced its 6P 4K laser projector for cinemas at NAB 2014. The laser projector will have 50% higher contrast ratios and will be twice as bright as current Xenon lamp projectors. The “6P” refers to six primaries, a pair of Red, Green, and Blue lasers, one for each eye for a superior 3D experience using the color separation technique, which is more pleasing and comfortable for viewers. Christie’s color separation technique provides continuous images to each eye by modifying the wavelength of each delivered color. Christie’s laser projector will improve the theatrical experience overall, with brighter images and more dramatic contrast (and blacker blacks). Adoption, however, is likely far off. Theaters, after disposing of iron-strong 35mm projectors that could last for decades, are still smarting from their recent conversion to the current digital projectors, mostly 2K Xenon projectors. It is not going to be easy to get them to move toward a new projector that is expected to cost ten times more than their recently-acquired digital projectors. However, the future is moving toward blacker blacks. On the production side, HP introduced the Z27x 27” DreamColor 4K-capable professional display monitor, which has a massive color gamut of 4.4 trillion colors, easy professional color calibration, and blacker blacks. This can help the movie you are editing now to be ready for blacker blacks in the future. The monitor is priced at $1,599. HP also introduced a startup model Z24x 24” monitor with similar capabilities but fewer features, priced at $599. Calibration of monitors is becoming more and more important. The production and post-production process for any single movie may now involve viewing dailies and other images anywhere in the world on any type of device used by collaborators. Your finished movie may well be seen in environments ranging from 30’ movie screens, 60” TV screens, 19” computer monitors, 15” laptop screens, 7” tablet screens, and even 3” smartphone screens It is now more important than ever to assure that the colors viewed each step of the way are the same colors seen by each team member and each viewer. 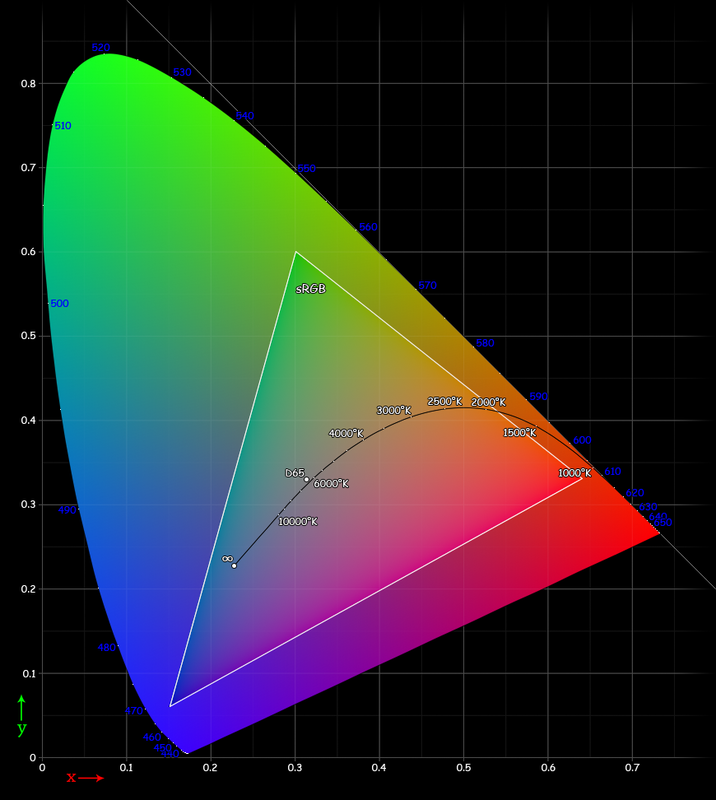 This is accomplished by calibrating your monitors to make sure the colors are correct. SpectraCal announced a variety of products at the NAB Show to calibrate monitors of almost all kinds, including existing consumer flat screen monitors. The SpectraCal C6 Colorimeter supports all display technologies, including plasma, LED, front projection, and OLED. Its CalMAN RGB software allows for automated calibrations and, on its own, provides basic monitor optimization as well as color management system and grayscale calibrations. SpectraCal’s colorimeter is $695 and the software is $199. All of the systems that will be displaying your movie to your team and to the consumer are improving their resolution and color. Effective color management, calibration, and correction are now more important than ever for filmmakers.